Do you need a trusted professional to help with your partition order? We can provide bathroom stall quotes that fit within everyone’s budget. 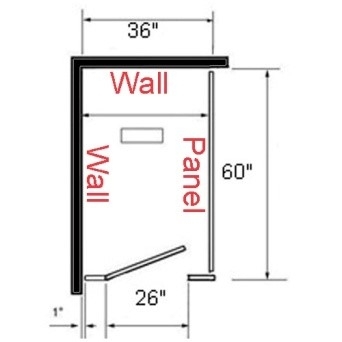 Most bathroom partition quotes are completed within 2 hours or less. 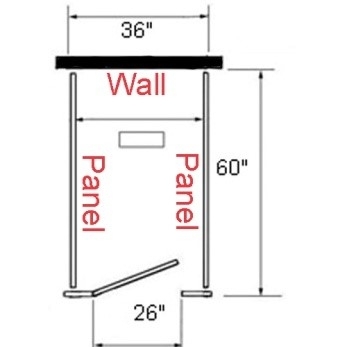 All estimates for toilet partitions will include an overhead detailed drawing, color chart, instructions, and a quote that includes all the necessary hardware for installing. Most estimates will also include shipping costs so you know the all-inclusive pricing. Every restroom has different layouts with varying measurements and that’s okay. While most quotes are custom, they don’t require any additional cost. They just require a bit more planning. 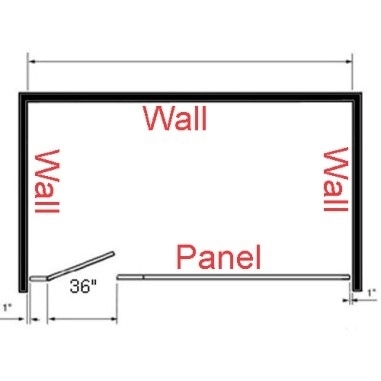 To better serve you, we’ll need a simple overhead drawing that shows us where your walls are and how wide and deep they are. This helps to insure we include the correct brackets and hardware for proper installation. Most importantly, we need overall wall to wall measures to make sure we include gaps off the walls of the post. All Bathroom Toilet Partitions can ship to a freight forwarder here in the usa. Stainless steel is great for airports, restaurants and government facilities. This is also a quick ship and delivered in 4 days in most cases. Powder coated steel is used the most in the United States. This material is also the least inexpensive and deliveries in 4-5 business days. Solid plastic known as HDPE which is high density poly ethylene which is a very hard plastic material. Most schools, moisture areas and high traffic businesses. Plastic laminate is great for office buildings, churches, etc. Laminate has many choices due to the laminate company’s and there stone looking patterns or wood grain looks. Solid phenolic is an expensive material that is made to last for over 30 years and has options of color thru or a black core. Overhead braced with floor support is the most common and used in commercial businesses. Most factories’ are able to ship out in 48 hours and delivered in 4 business days. Floor mount only is also floor mounted, but has no support at the top of the post’s to help stabilize the doors. This is not a stock material and is 3-4 weeks delivery. Floor to ceiling braced is the most supportive system to help your partitions last for years. Very important to let us know your ceiling height for proper quotes. This is also a 3-4 week lead time. 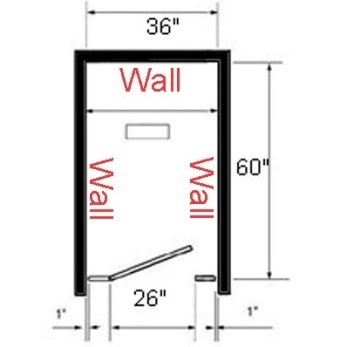 Ceiling hung partitions are great for the maintenance crew with easy access for quick cleaning of the floors. Also very important to know the ceiling height so adjustments can be made. 3-4 weeks delivery. If you need us to change anything on the drawing we provide, please let us know. For any questions on lead times or partition quotes, please call us for help. Just send us your artwork. Pick the template that best describes your bathroom toilet partitions. Fill in all empty boxes including a ship to zip code please.